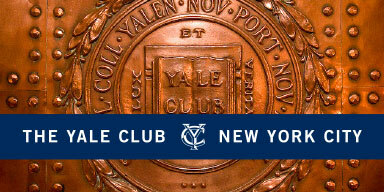 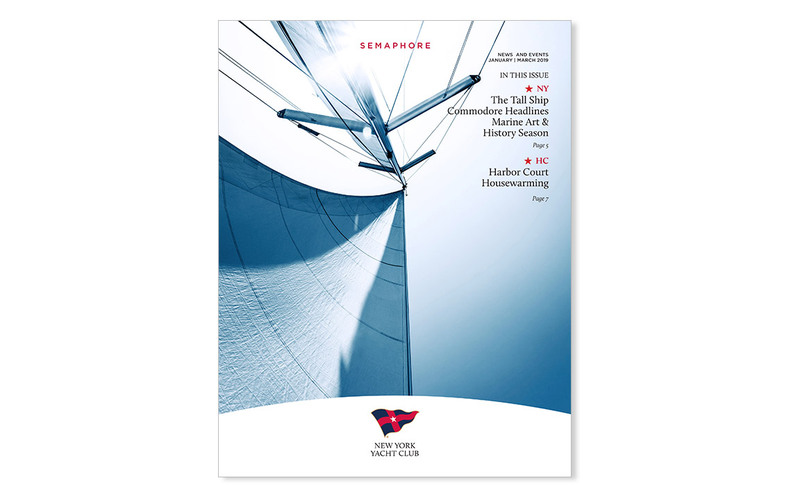 Founded 175 years ago, the New York Yacht Club has become one of the most prestigious yacht clubs in the country. 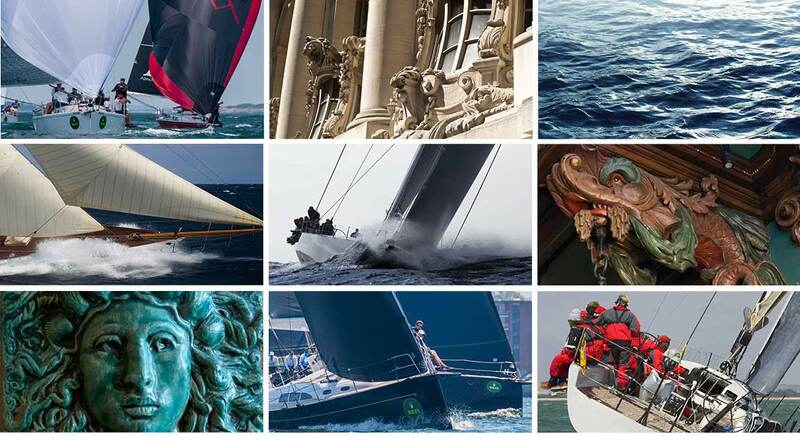 It’s burgee is recognized all over the world in Corinthian and professional yachting competitions. 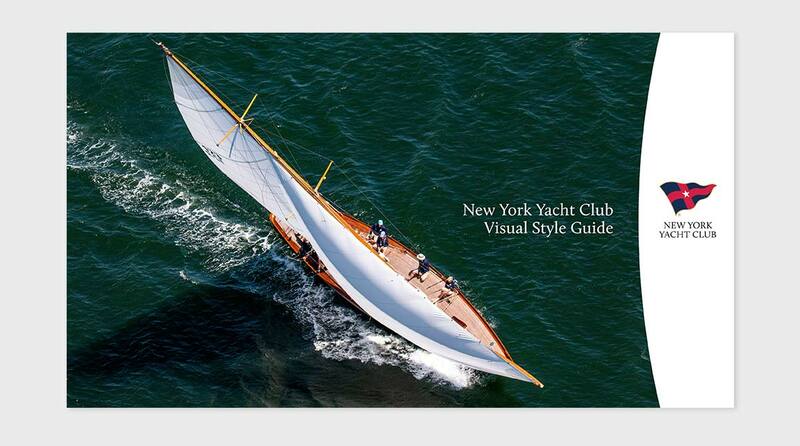 The Club assigned the Bernhardt Fudyma Design Group to develop an energized – and visually meaningful – graphic branding system that would reflect the Club’s newly established brand vision and coordinate their various communication formats. 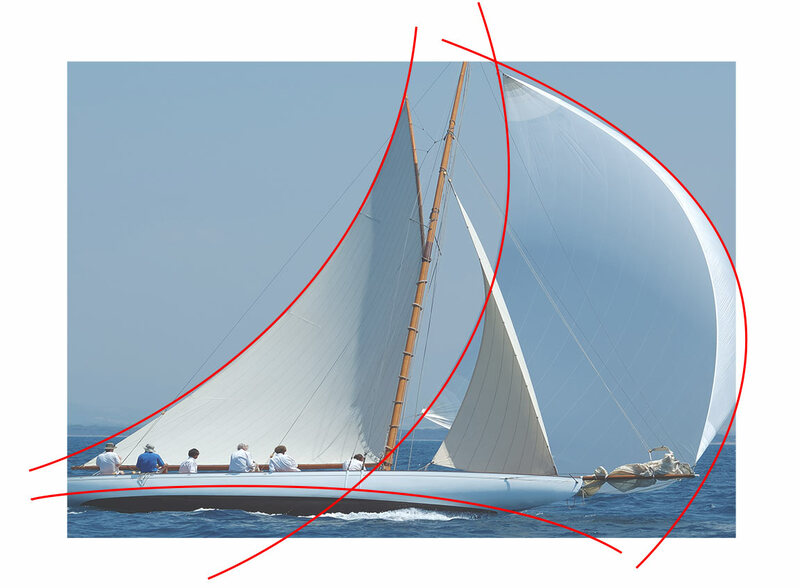 Our design solution was informed by the graceful and aerodynamic curves utilized in the construction of modern yacht hulls, and evident in the contours their billowing sails. 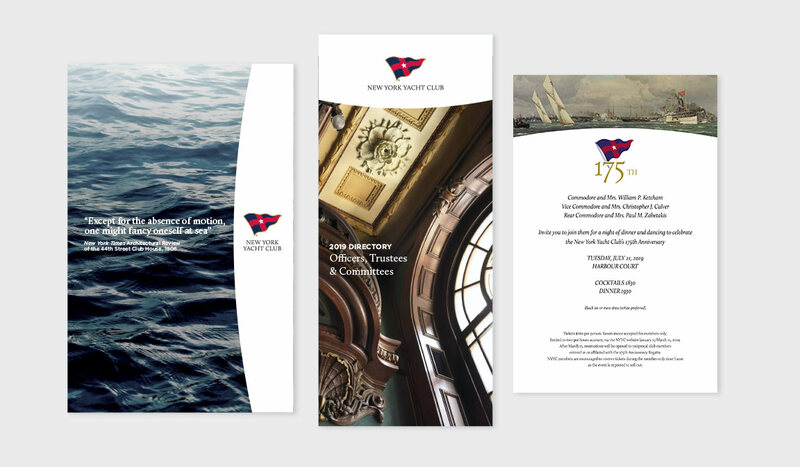 We then established an array of standard size document formats, each with multiple options for the placement of the distinctive curve element, and a refined burgee identifier. 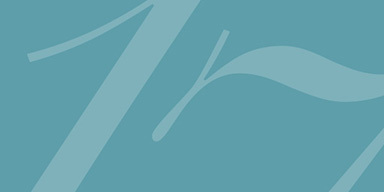 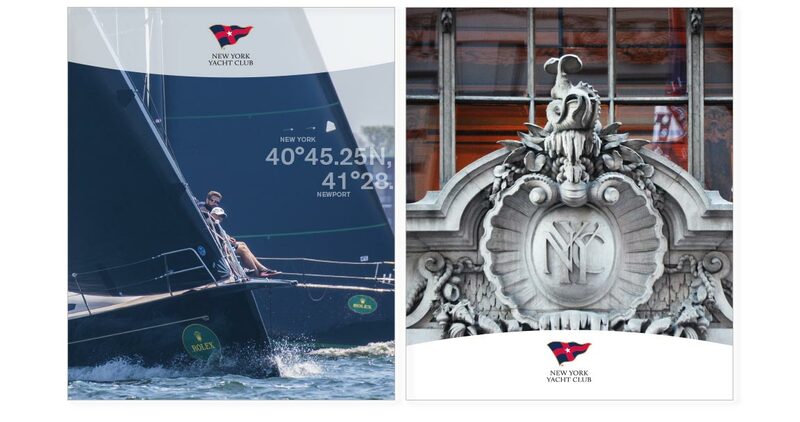 In addition to the main curve templates and imagery palette, we created an optional complementary graphic element that features the exact latitude and longitude of the Club’s two clubhouses on 44th Street in New York City and Harbour Court in Newport, Rhode Island. 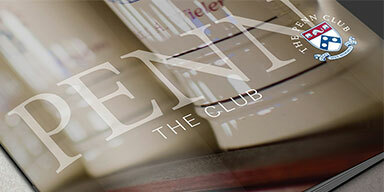 We then began applying this new branding to the Club’s full complement of communication materials. 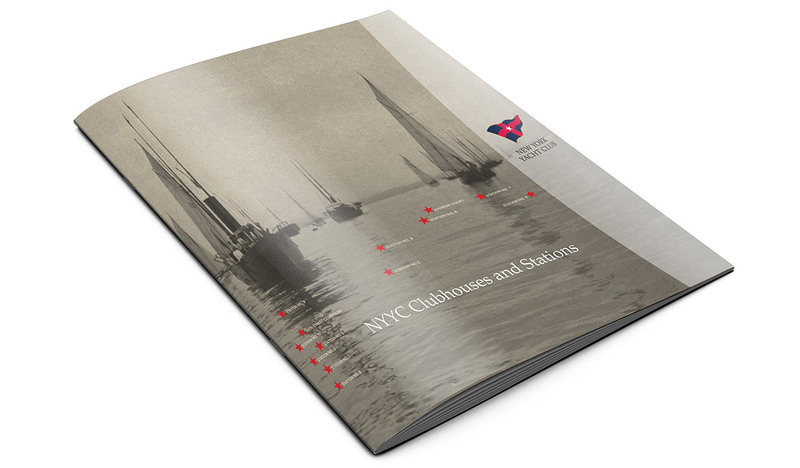 In order for Yacht Club personnel or other suppliers to maintain the new club branding on an ongoing – and consistent – basis, we prepared a comprehensive guidelines document that outlined all of the brand elements and their application parameters.